Minister of Health and Child Care, Obadiah Moyo has called on hospitals to embrace innovation in order to improve technological development in the medical sector. 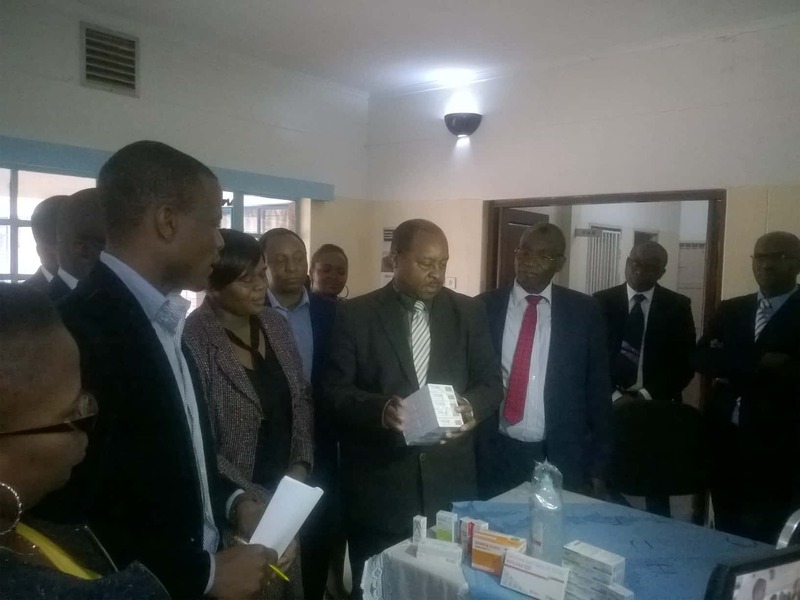 The Minister said this during a handover ceremony of health equipment and medicines at Harare Central Hospital recently. “Innovation is what we want to see in our hospital boards. We want people who are pro- active,” said the Minister. “There is a calamity in Manicaland. Irrespective of the problems we are facing in the medical sector, the cyclone has added to our problems. We are trying to fight Malaria, typhoid and dysentery before these diseases get out of hand,” added the Minister. Drager/PCD donated six phototheraphy 4000 Jaundice Management machines worth $10 000 euros that are going to be distributed to four hospitals namely Harare Central, Parirenyatwa, Mpilo and Chinhoyi Hospitals. They also provided machinery for neonatal ventilation and thermos therapy to ventilate and effectively Hospital Conducts Post-Mortem Examination After Zlhr’s Interventionreduce stress and help promote the development of the new-borns. Avakash also donated $USD 80 000 worth of medicine that is going to assist the victims of Cylone Idai. “New Avakash wholesalers have refused to be outdone by giving us a consignment of medicines worth more than US$80 000. We can not yearn for anything more than the spirit of true comradely which you have shown. it is no secret that as government we are experiencing shortage of medicines due to unavailability of foreign currency,” added the Minister.